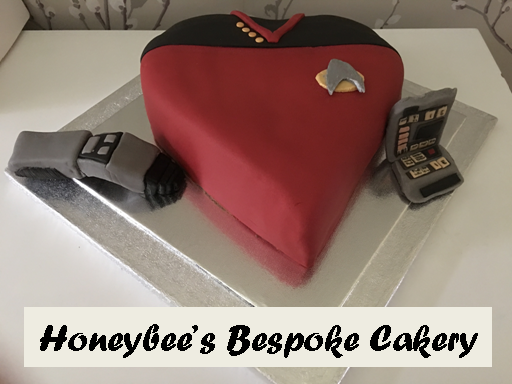 There's a lot of excitement in the Star Trek franchise in 2014 which has meant that it could easily be entitled as The Year of the Fan - Phase II, The Green Girl, Renegades and one that really got us chomping at the bit - Axanar. Taking its lead from one episode of The Original Series, this fan-made production has already hit the headlines with its stunning CGI examples and, perhaps more significantly, it's focus on the character of Garth of Izar. While there are many of us within the realms of Star Trek fandom who feel that this should have been the character played by Benedict Cumberbatch in the Abrams 2013 movie, this might be the answer we are looking for and has a Galaxy Class load of things to entice fans of every level. Set two decades before Where No Man Has Gone Before, Garth is the epitome of a Starfleet captain; the hero of Axanar. This movie therefore is his story. Chatting across email with executive producer Alec Peters, I was more than enthusiastic(!) 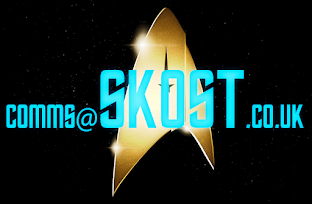 over our interest in this project and was pointed in the direction of the Axanar website and Facebook pages. While the former is not rammed full of information at present there is a heck of a lot going on and we'll hope to be somewhere near the knife edge to report on what's happening (if we're allowed!). 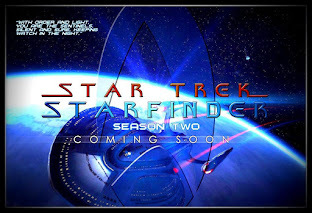 The cast already has three stellar names associated with it in the form of Battlestar Galactica legend Richard Hatch, Deep Space Nine's Martok, J G Hertzler and Enterprise's Soval, Gary Graham. If that's not enough stardom for you, I believe that there will be more signings announced very, very soon. That's just in front of the camera mind as Alec has also managed to bring on board David Gerrold as creative consultant. In our opinion that is more than a good start to say the least. Looking through the characters penned in by Alec, it's interesting to see who we will meet in the movie - an early General Chang (then lieutenant), Robert April shaking down the brand new USS Enterprise, Captain Richard Rabau (last seen spiked by Nero in 2009's Star Trek movie) and a young Sarek acting as aide to the already noted Soval. 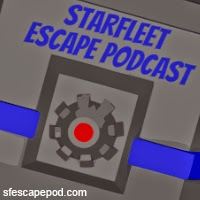 It's a good site giving nice, concise access to Axanar and even providing a few FAQ's for those interested in the background to the Garth story. Nice touch. 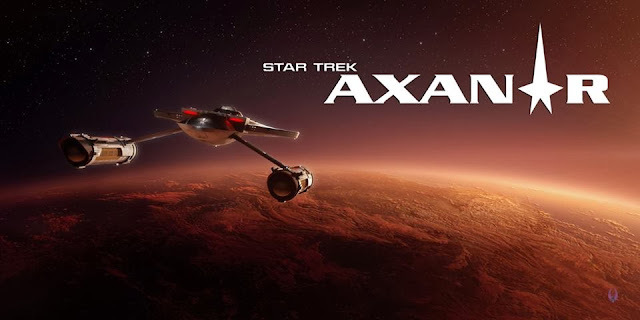 On the Facebook page over 12,000 people have already hit Like and in all honesty this is a better place to get to grips with the evolution of Axanar than the gorgeous looking website. 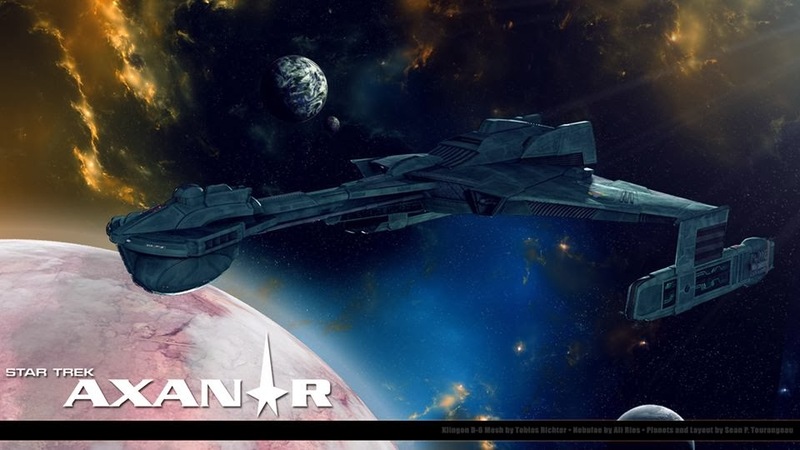 While that has some nice background bits and a screen-lickingly good CGI fly-past of the USS Ares (Garth's ship at Axanar), the Facebook page offers more glimpses into the could be/will be's of the project (all by Tobias Richter...brilliant). There are some stunning images available on the page as the work is developing from starships to set mock-ups and tech designs that are intended to be somewhere in the step between Enterprise and The Original Series. As the days pass by there justy seems to be more and more information coming out about this work and everything we hear is positive. 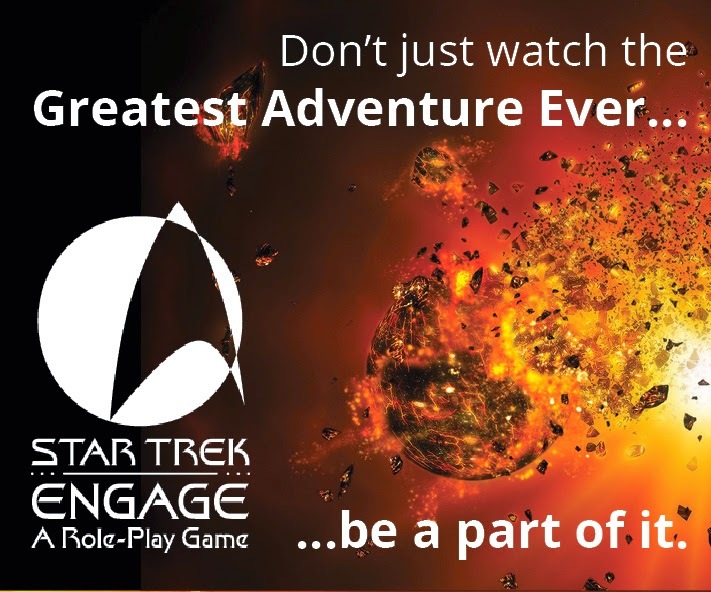 One of our other Hot for 2014 contenders, Phase II are even lending the production their bridge set to be retrofitted for the story which shows the support that Alec and the Axanar dream has garnered already. Even from the brief email tennis I've played over the last few weeks you can tell in the tone that there is as much excitement from within the Axanar camp as there is from the fans waiting to see it move into production and then be available. What I especially love about the Facebook page is the debates that spring up on there. 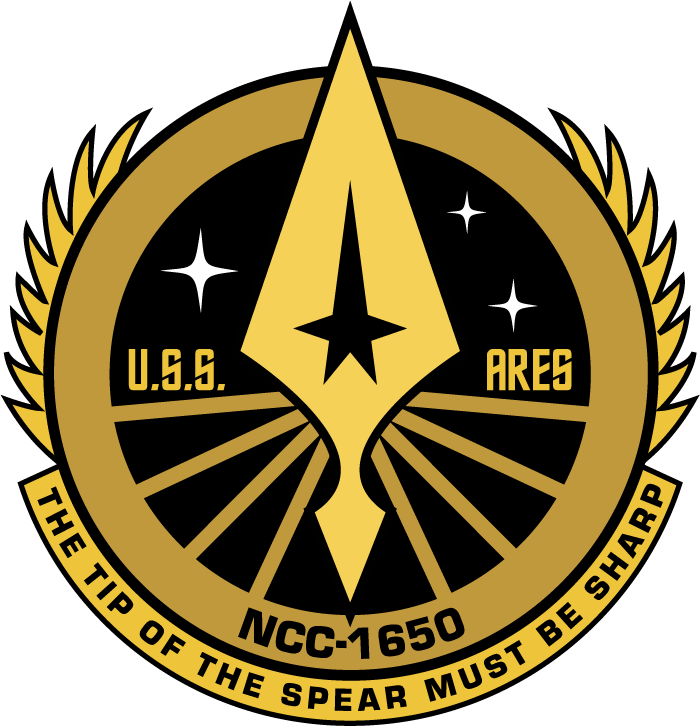 Recently there's been some interesting discussions around the use of the Enterprise insignia on uniforms, the style of uniforms themselves and even comments around element design be it sets or even tricorders. Now while there can be some grumbles in there it's a brilliant way for the producers to hone their product, make it "Canon Correct" if you will and mean that fans, to a degree, are kept on side and can maybe even help mould the production. It's probably one of the most effective uses of a Facebook page I've seen for some time. 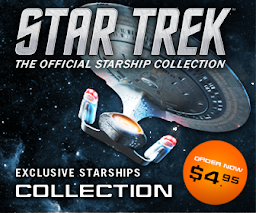 It's a whole world of Trek cool. What helps no doubt is having a visual artist with a great deal of talent - the ship images (some of which we've included here) and the imaginings of the Axanar world are just as you would imagine if you're familiar with not only the 2009 USS Kelvin but also the style of The Cage and even Enterprise. There are some hints of the tech developments in the real world in the styling but that is to be expected and welcomed given that this is 2014 and not 1966. Indeed, like a lot of fans we're peaked on interest just on the starships pics of the Ares, Geronimo and the Klingon ship alone. God knows what we'll be like if there's much more posted like these stunning shots. As we talked about when we listed our Hot for 2014 at the start of January, it's going to be one of those that will have to be watched throughout the year and most likely a must see when it's complete. Ok, so at the moment there's only a few castings and a lot of theory and thought on the internet however there is something to see. 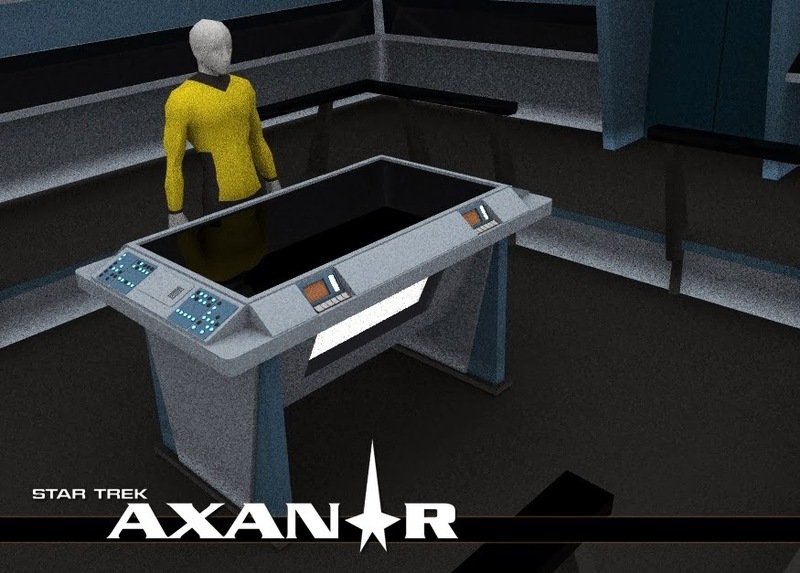 It's not just ghosts - Axanar is real, it has real people behind it and genuinely impresses when you see what has been designed even at this point. As the year progresses we hope to be talking to some of the team behind the production (no promises) and will update as and when we know more right here. For now, head over to their networks and get behind the project. It's going to be a winner and there are a lot of people out there who seem to think likewise. 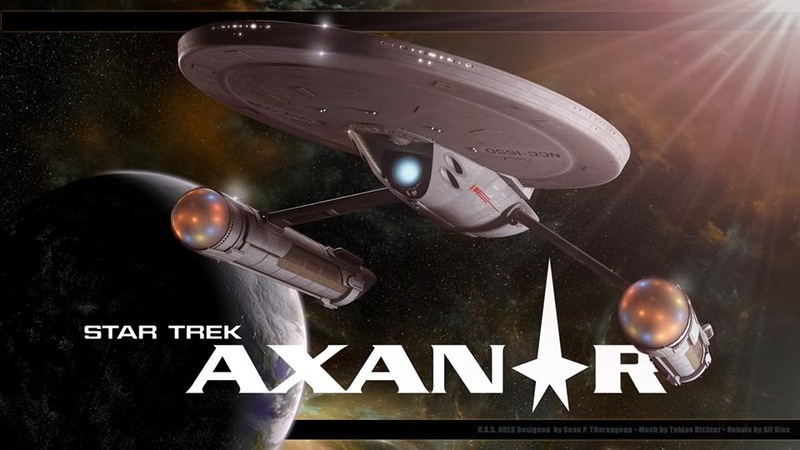 Star Trek: Axanar can be found on Facebook and at their website for more details. Phase II: Why Aren't You Watching? !